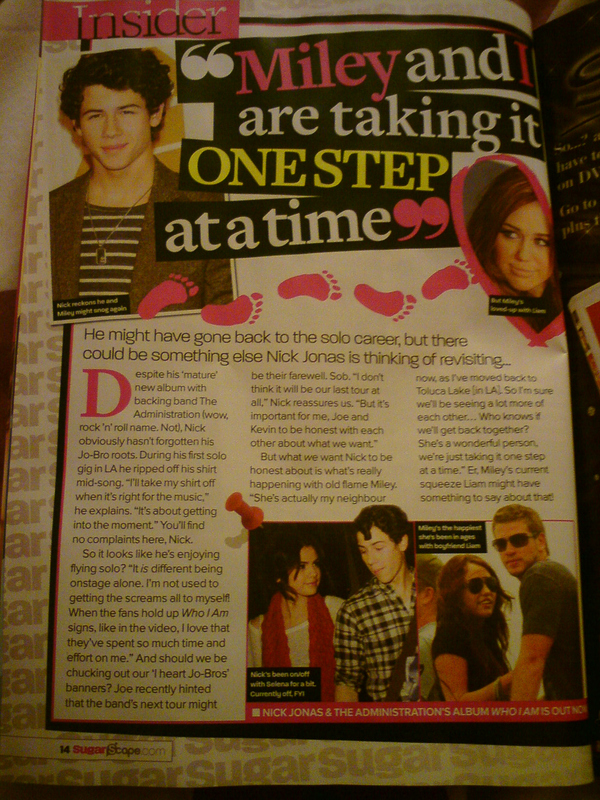 Nick Jonas talks about ex-girlfriend Miley Cyrus in this May Issue of “Sugar” Magazine. Clearer scan under, Click on it to enlarge. This entry was posted in Jonas Brothers, Miley Cyrus, Uncategorized by disneystarfacts. Bookmark the permalink. i really really really really really really really hope they get back together. maybe now they see how much their fans need them or they realized they were meant to be!